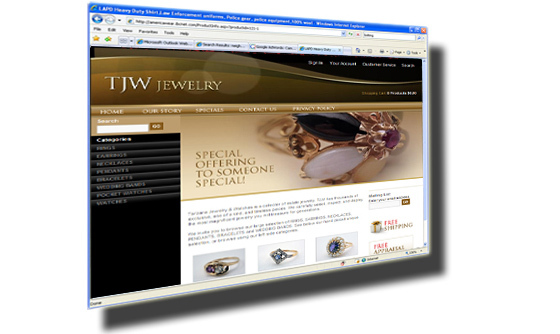 TJW Jewelry is a Tarzana based estate jewelry and luxury watches retailer. 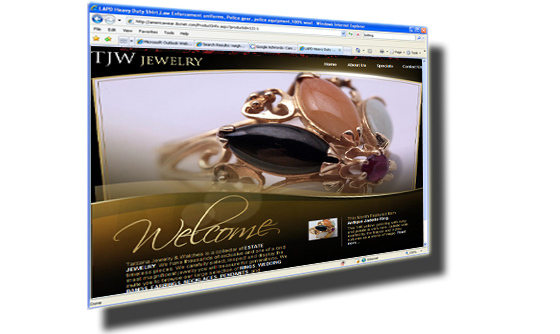 IBCnet was hired to provide consulting, planning, web design service, custom development, programming services, jewelry photography services, search engine optimization service, and a host environment for a professional commerce website. 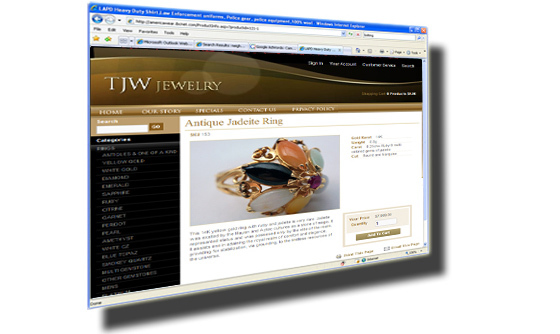 ASP.NET, MSSQL, DHTML, IIS, VB, Flash, CSS, HTML, and Java.